Leaving South of Border before sunrise, we head to our next destination – Edgewater (thank you Zan, for the overnight in your driveway). A nice halfway point between Dillon, SC and the Keys. And a short drive from one of the few places you can drive on the beach. First, a burger at “Breakers”, with their fabulous views. 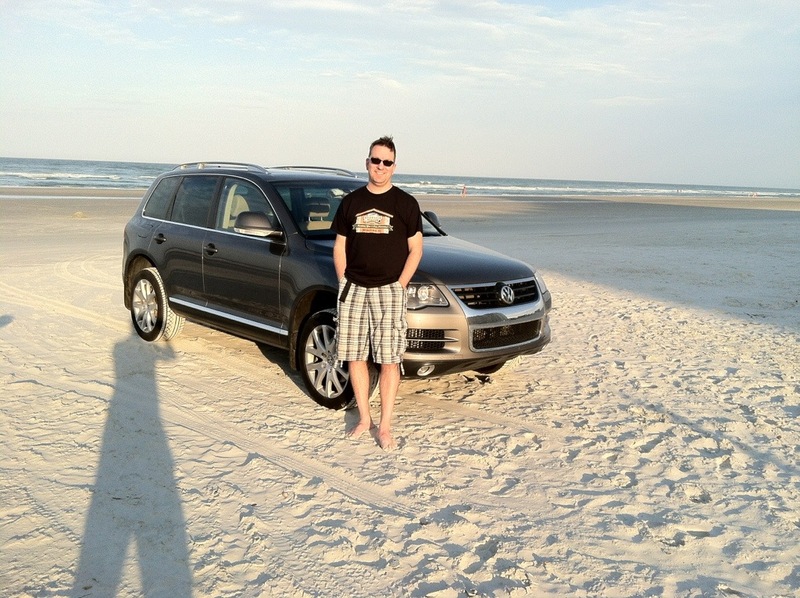 Then a quick drive on the beach. If you’ve ever driven in dry snow, it’s similar a similar feeling. You can’t drive on the beach all the way to Key West. The roads have improved a lot since 1935. 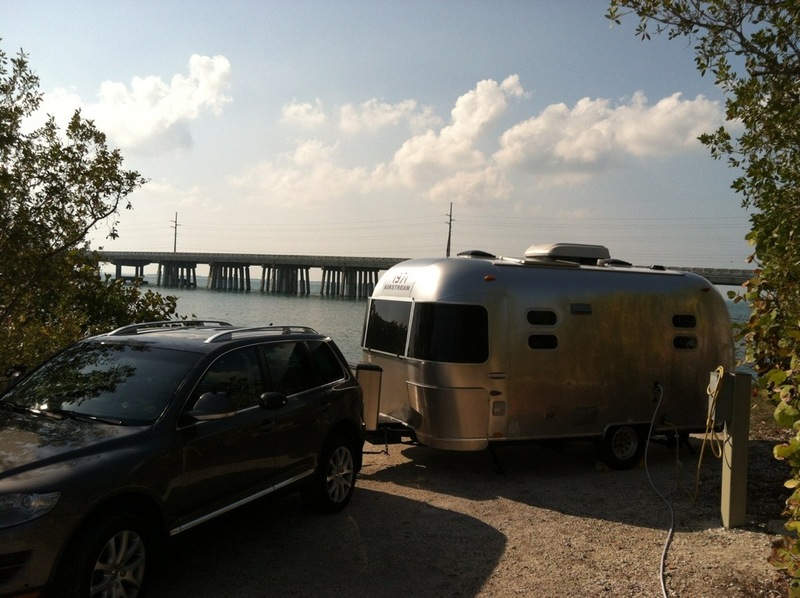 But the drive to Key West is not without hazards. 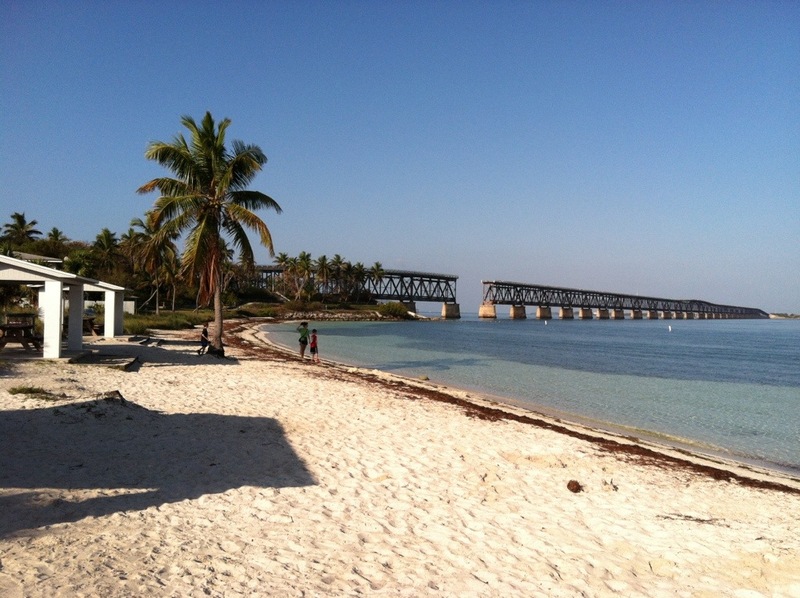 After I was plucked from the limousine by a helicopter before it plummeted in the ocean, the Governator dropped me here: Bahia Honda State Park. This is one of the busiest parks in Florida, but I lucked out two weeks ago when I was campsite surfing on the web. 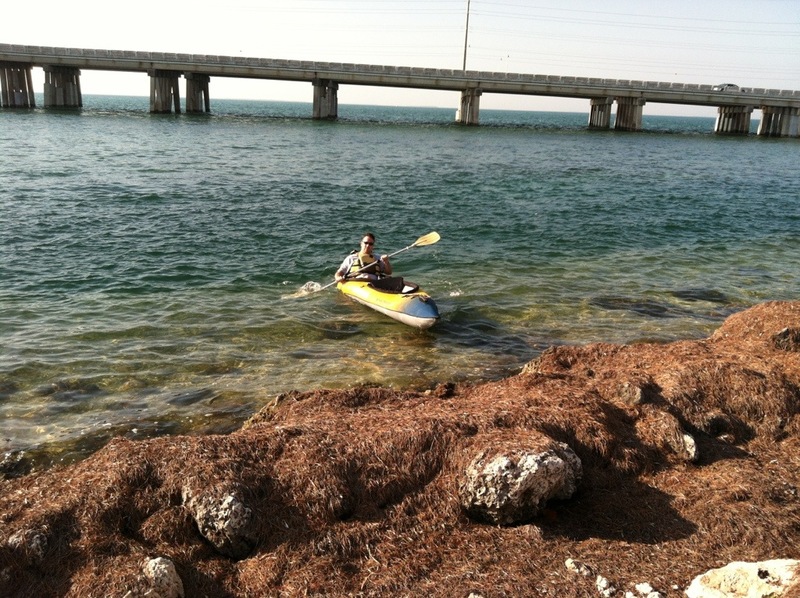 Where else can you kayak from the gulf to the ocean in 1/2 hour, from your campsite (#17, for those if you looking to reserve ). 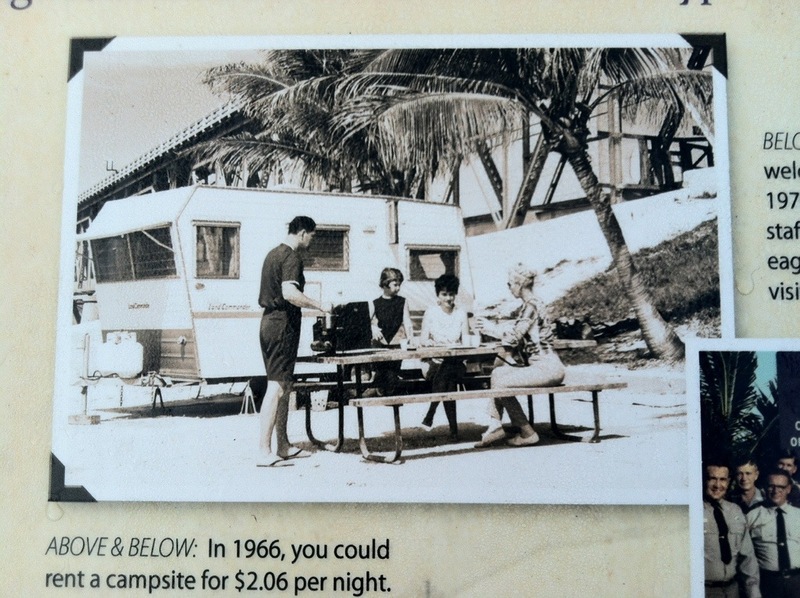 Campsites were $2.06 in 1966. Now, $38 – but same great view. I’m always looking for a beach I can take my motorhome on. 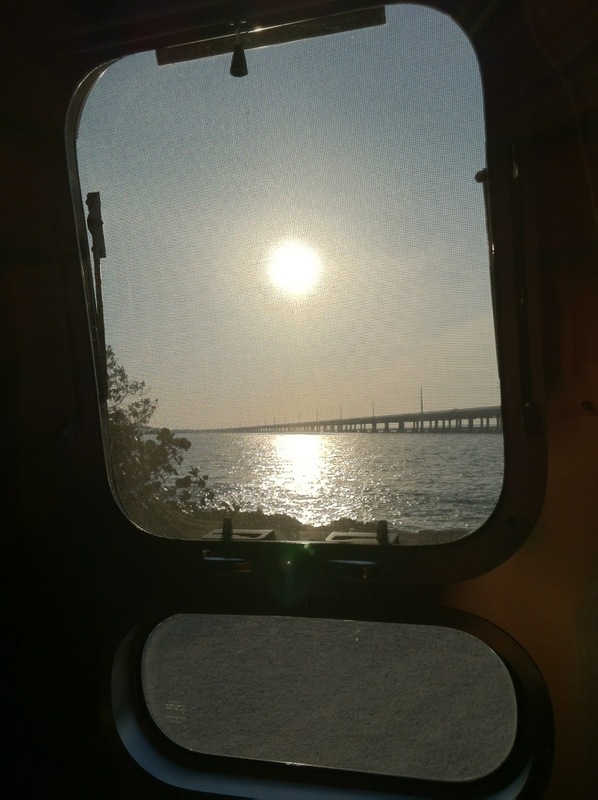 I don’t see any campers in you photo but at least cars are allowed on the beach which is great. I LOVE all the movie clips etc that you manage to find for your travels. Glad you got a drive in on the beach!